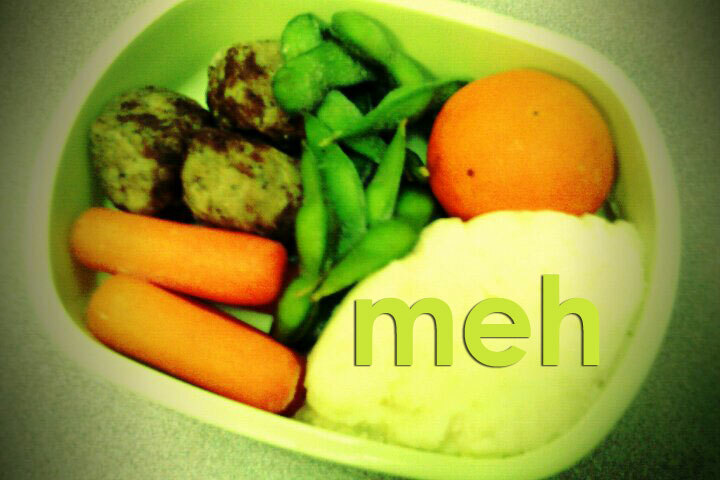 This is my bento today. I am so bored by it, I didn't even eat it. I need a bento intervention! 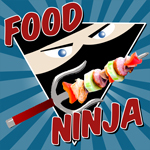 I need some spark, something to get me excited about the great food in Sonoma County again! Cue Sonoma County Restaurant Week! Last year at this time, the lovely people at the Sonoma County Economic Development Board put together the first ever Sonoma County Restaurant Week to celebrate the amazing restaurants, food purveyors, farmers, wine and beer makers, and general awesome eating environment that is Sonoma County. Over 80 restaurants participated with three-course fixed menus at $19, $29, and $39, depending on the venue. It was a HUGE hit! I went to the girl and the fig, Viola Pastry Boutique, Barn Diva, La Vera Pizza, and at least one other place during Restaurant Week. I had a BLAST and ate so much great food. If you aren't in Sonoma County, road trip! oh...you know somewhere out there someone would want to trade lunch with you! even though you think it's "bleh", it still has the healthy factor which is good enough for me! sounds like it's going to be a fun restaurant week! What better way to start President's day? I'm gonna need your help. 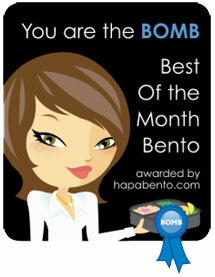 I've entered myself into a contest and I incorporated bento for us the bento community! Would you mind voting for moi? Get on my blog to get the details! THANKS MUCH!!! Hi SB! The "meh" watermark on your bento above made me LOL! Restaurant Week in Sonoma County sounds like a dream...enjoy! Ha ha, thanks Bentobird! The 'meh' cracked me up too. :) We've had fun dining at a few cool places during Restaurant Week, but I have to spend so much time with our move that I am not enjoying it the way I would like.